The Clippers have granted the Pelicans permission to speak with assistant GM Trent Redden about a senior front office position, sources tell Adrian Wojnarowski of ESPN.com. 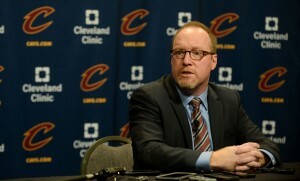 New Orleans recently tagged David Griffin as its executive VP of basketball operations. Griffin and Redden worked together in the Cavaliers’ front office when the team won the 2016 NBA championship. Wojnarowski writes that it’s no secret that Griffin would prioritize finding a way to add Redden to his team. Joe Vardon of The Athletic first reported earlier this week that Redden would likely end up assuming a general manager role under Griffin in New Orleans. However, the Pelicans’ new head of basketball operations said at his introductory presser on Wednesday that he’s more concerned about bringing in the right people than in specific titles, so it’s not clear if that’s the exact role he’d have in mind for Redden. Redden began his career as an intern in the Cavaliers front office, working his way up over his 11-plus years with the franchise. The Clippers hired him after the 2016/17 season. A report earlier this week indicated that the Pelicans had David Griffin the go-ahead to hire a general manager underneath him, and that he was likely to choose former Cavaliers executive Trent Redden. However, speaking to reporters, including Scott Kushner of The Advocate, at his introductory press conference on Wednesday, Griffin insisted that he’s more concerned with attracting the right kind of people to New Orleans than with specific titles. As we detailed on Wednesday, Griffin also talked about Anthony Davis, Jrue Holiday, the perception of New Orleans as a “small” market, and several other topics during his first meeting with the media. However, according to Kushner, the Pelicans’ new top basketball executive made it clear that his top priority is building a solid, sustainable infrastructure within the organization. Despite rumors that Jonas Valanciunas had to make a decision on player option yesterday, his decision isn’t actually due until June 13, Chris Herrington of The Daily Memphian confirms (via Twitter). The Grizzlies‘ center is unlikely to match his $17.62MM salary for 2019/20 if he opts out, but he could easily exceed that total number on a longer-term deal, so it’s not clear yet which direction he’ll go. A team source tells Herrington that the Grizzlies are expected to make more front offices hires even after adding Rich Cho and Glen Grunwald on Wednesday. Veteran point guard Mike Conley wants to play for a championship contender, and it’s not clear whether that can happen in Memphis anytime soon. Still, the Grizzlies have to do what’s best for the franchise, not necessarily what’s best for Conley, as they weigh major roster decisions this offseason, writes Mark Giannotto of The Memphis Commercial Appeal. In an entertaining piece for ESPN.com, Baxter Holmes takes a deep dive into the secret team dinners that have been a fixture for Spurs coaches, executives, and players throughout Gregg Popovich‘s tenure with the organization, exploring how those dinners influence the club’s culture and success. On Wednesday, we examined the Mavericks‘ salary cap outlook for the coming offseason. APRIL 17: The Pelicans have made it official, announcing in a press release that Griffin is their new executive vice president of basketball operations. APRIL 12: The Pelicans are finalizing a deal with veteran NBA executive David Griffin that will make him the team’s new head of basketball operations, league sources tell Adrian Wojnarowski of ESPN.com (Twitter link). According to Wojnarowski (via Twitter), the two sides have reached an agreement in principle. The Pelicans and Griffin are still determining what his official title will be, but he’ll control the club’s basketball operations, tweets Wojnarowski. Griffin’s title will likely be executive VP of basketball operations, Woj adds (via Twitter). Having dismissed general manager Dell Demps during the season, the Pelicans turned to advisor Danny Ferry to assume GM duties on an interim basis, but have recently conducted a full-fledged search for a permanent head of basketball operations. Ferry was considered a candidate during that process, but recently withdrew from consideration, citing concerns about the timing of moving his family to New Orleans on a full-time basis, according to Wojnarowski (via Twitter). The Pelicans also considered Warriors assistant GM Larry Harris, Nets assistant GM Trajan Langdon, Rockets VP of basketball operations Gersson Rosas, and Wizards interim GM Tommy Sheppard, but will go with Griffin, who has the most high-level experience in the group. Griffin served as the general manager in Cleveland from February of 2014 up until the summer of 2017, overseeing the return of LeBron James in 2014 and the Cavaliers’ championship-winning roster in 2016. Although the Cavs got stuck with some player-friendly contracts on their cap during Griffin’s tenure, he was well-regarded overall as an executive, and may have stuck around longer if he and owner Dan Gilbert could have agreed to contract terms in 2017. Griffin was said to be seeking a raise and a promotion, and was ultimately replaced by Koby Altman. Griffin will face a new challenge in New Orleans, as he’ll now be responsible for resolving Anthony Davis‘ trade request. It’s widely believed that Davis, who is eligible for the super-max this summer and is entering the final year of his current contract, has played his last game for the Pelicans. It will be up to Griffin to find the best deal possible for the star center. During his days as the Pelicans’ general manager, Demps reported to team president Mickey Loomis, the general manager of the NFL’s New Orleans Saints. 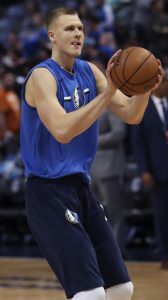 However, the club has indicated it intends to separate the basketball and football operations to a greater extent going forward, so Griffin is expected to report directly to owner Gayle Benson. David Griffin, who was hired over the weekend to run the Pelicans’ front office, received assurances from the franchise that it would bring in reinforcements to its basketball staff, Scott Kushner of the New Orleans Advocate reports. The front office, including the scouting department, executive staff and developmental arm, will be expanded. Griffin might still hire a GM and several assistant GM to work beneath him, though he will be the ultimate decision-maker on basketball moves, Kushner adds.